Our 1970’s “one hit wonders” week continues. The Boomtown Rats were an Irish rock band that scored a series of UK hits between 1977 and 1980 and were led by vocalist Bob Geldof. All six members were originally from Dún Laoghaire, Ireland. Formed under the name “The Nightlife Thugs,” the group agreed on the name change to the “Boomtown Rats” after a gang that Geldof read about in Woody Guthrie’s autobiography, Bound for Glory. They became a notable band, but one whose accomplishments were overshadowed by the charity work of frontman Bob Geldof, a former journalist with the NME magazine. The group moved to London in October 1976, and became associated with the punk rock movement. Signing a recording contract with Ensign Records, they released their debut single, “Looking After No.1”, in August 1977. It was the first of nine straight singles to make the Top 40 in the UK Singles Chart. 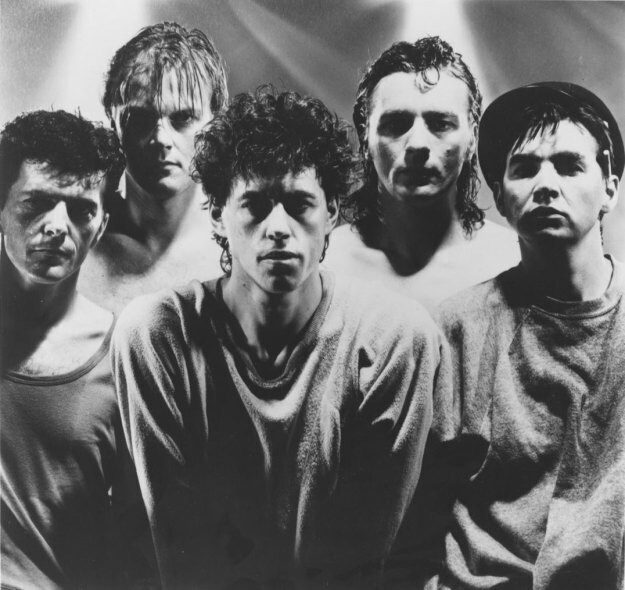 Their debut album, The Boomtown Rats, was released in September 1977, on Ensign in the UK and on Mercury Records in the United States, and featured another single, “Mary of the 4th Form”. As music journalist, Martin C. Strong noted, “Geldof’s moody charisma helped to give the band a distinct identity”. The Rats’ second album, A Tonic for the Troops, appeared in June 1978 in the UK. It featured three hit singles, “Like Clockwork”, “She’s So Modern” and “Rat Trap”. A Tonic for the Troops was released in the U.S. on Columbia in February 1979, with two tracks from The Boomtown Rats substituted for tracks on the UK version. Mutt Lange produced “Rat Trap”, which became the first rock song by an Irish band to reach #1 in the UK, and the first of any description by an Irish band to top the official chart used by the BBC. (The Bachelors had topped the Record Retailer chart in 1964 with “Diane”, but only reached #2 on the UK Singles Chart). In addition, “Rat Trap” was also the first new wave song to claim the number one spot. In 1979, “I Don’t Like Mondays”, was released. This was written in response to a school shooting in California by Brenda Ann Spencer, and also reached #1 in the UK. It was a worldwide hit, with the glaring exception being the United States. Fears of lawsuits and charges of bad taste kept radio stations there from playing the record. The unofficial boycott was frontpage news in Variety Magazine, the only time the Boomtown Rats earned such prominent coverage. However, it was included in The Fine Art of Surfacing, the band’s third album, and subsequently became the band’s only U.S. Billboard Hot 100 entry. The album also contained “Diamond Smiles” and their next Top 10 hit in the UK, “Someone’s Looking at You”. Geldof and Fingers became the visual and musical focus of the group: Geldof with his articulate, caustic wit – which made him the delight of television talk show presenters and the bitter enemy of music journalists – and Fingers with the striped pyjamas he wore onstage. Please enjoy this video clip of the Boomtown Rats performing their hit “I Don’t Like Mondays” in 1981 at The Secret Policeman’s Other Ball. Posted on June 21, 2010, in Songs, Uncategorized and tagged Boomtown rats, I Don't Like Mondays, Songs. Bookmark the permalink. 1 Comment. This was played a lot here during that time period, but maybe on stations playing more new wave music than the traditional rock stations. More important is Geldof’s legacy of charitable work.